Tired of those trips to the doctor? Looking for something different to do? How about a cruise? Yes, a Cruise! With proper planning, traveling with your Caree can be affordable, safe, comfortable and enjoyable as well. Cruise ships offer handicapped accessible cabins and the ship staff is readily available to ensure that your trip is safe and secure. Traveling with a wheel chair or scooter on a cruise ship is no problem! With Pride Mobility Go-Go Travel Mobility products, you are not land-locked! The Go-Go Scooters are designed to be lightweight and portable, so they are an ideal choice for travelers. When making travel reservations, it is important to let the travel vendor know you are traveling with someone who has a special need. Alerting the travel vendor will also help with pre-boarding. With proper preplanning, most if not all, travel vendors are happy to accommodate your special needs. Help is readily available! When planning a trip, every Caregiver knows at a moment’s notice that the health of your Caree can change dramatically. In order to ease the burden of planning and paying for a trip in advance, consider purchasing travel insurance. When choosing insurance, be sure to check the provider’s policy on pre-exiting conditions! Many insurance providers will offer different levels of coverage. For the Caregiver, I recommend a policy which clearly states, “Cancel For Any Reason.” While these policies are going to be more expensive, in the long run, you will have peace of mind knowing you can be reimbursed for most, if not all of the cost of your trip if your Caree is too sick to travel. When traveling by plane, try to avoid scheduling flights with connections. If you have to book a flight requiring a connection, leave a gap between connecting flights. An extra hour or two relaxing in an airport will go a long way in securing the comfort of your Caree, rather than running from gate to gate to catch a last-minute connecting flight. Don’t forget to pack your passport and all your important health documents! Depending on the health of the person you are caring for, traveling is not out of the question. Don’t get caught up in what you can’t do, rather focus on what you can do with Pride Mobility! Are you a Caregiver? Do you like to travel? Worried about taking your Caree on a trip? Thinking about planning a cruise, land tour, or train ride? Well, we have the solution for you! 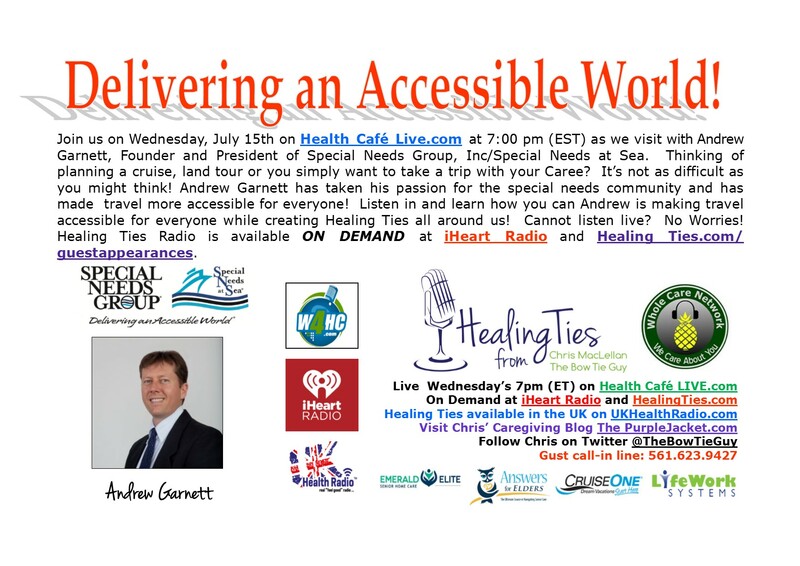 Tune in on Wednesday July 15th at 7:00 pm (EST) for another episode of ‘Healing Ties’ radio with our special guest, Andrew Garnett, President of Special Needs at Sea. Andrew has taken his passion for the special needs community and has made travel more accessible for everyone! 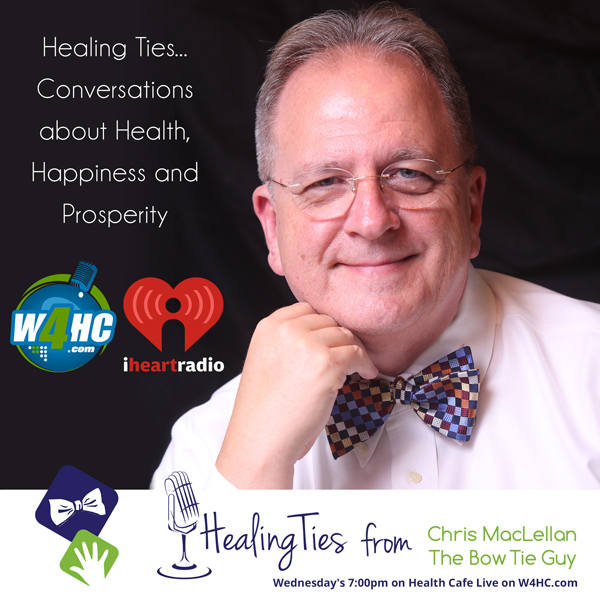 To listen to ‘Healing Ties’ radio live at 7:00 pm on Wednesday, July 15th, simply click here! Can’t listen live? NO WORRIES! Healing Ties Radio is available on demand on iHeart Radio by clicking here! ‘Healing Ties’ radio show is also syndicated in the UK on UK Health Radio by clicking here! We’re less than 60 days away from our Caregiving Cruise and we’d love for you to join us. We’re partnering with Denise Brown from Caregiving.com and Jerry Dismarias from Cruise, Inc on our first and annual Caregiving Cruise! We set sail on Monday, November 11 for a four-day cruise on Norwegian Cruise Line’s Norwegian Sky. We leave from Miami and then head for three stops in the Bahamas before returning to Miami on Tuesday, November 14. In addition to special pricing for our cruise, you receive a $25 onboard credit which can be used toward excursions, drinks and gift shop purchases. The cost of the four-day cruise, which includes your accommodations, meals and our workshops, begins at $345 per person for an ocean view stateroom. I am hoping to get into the famous Purple Jacket at our Cocktail reception! You can book your Caregiving cruise vacation here. If you’d like, please feel free to bring your caree on our cruise. Our travel agent, Jerry Dismarias, can assist with your special needs. You can call Jerry direct at 877-632-5301 Traveling alone? No worries! Jerry can help you find you a roommate. Our travel agent also can help arrange your airfare and transportation to our cruise. Because we understand that a Caregiving situation could mean a last-minute crisis, Jerry can tell you about travel insurance. If you book your cruise before September 25th, Denise Brown from Caregiving.com will provide one-year membership to CareGiving.com (a $49.95 value) so you can receive support before and after your cruise. By joining CareGiving.com, you’ll be able join our Caregiving Cruise group to talk about your plans for the cruise. We also share updates and details in the group about what we’re doing to make this cruise one to remember. Book your Caregiving cruise vacation here. No, this isn’t me or Denise, but they sure look happy frolicking in the ocean in the Bahamas. We will, too! Tuesday’s at 1:00 pm / Thursday’s at 8:00 pm; all times eastern! We set sail on November 11 for a four-day cruise on Norwegian Cruise Line’s Norwegian Sky. 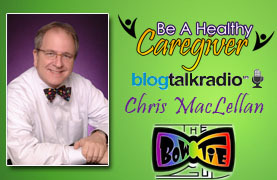 Join Denise Brown from Caregiving.com and Chris MacLellan from The Purple Jacket.com’ and ‘Be A Healthy Caregiver’ for a get-a-way that also includes support for you in your Caregiving journey. If you’d like, please feel free to bring your caree. Our travel agent can assist with your special needs. Traveling alone? No worries! Our travel agent can find you a roommate. We have a special incentive for you! If you book your cruise by April 30th, you’ll be entered into a drawing for a chance to win a $100 Restaurant.com gift card! Already book your cruise? You’ll be entered, too! Our travel agent, Jerry Dismarais is a Cruise Specialist and a Certified Travel Accessible Advocate and has been instrumental in planning our event. Jerry can book all your travel plans: feel free to call him directly at 877.632.5301. Feel free to contact me at ChrisMacLellan@thebowtieguy.net or Denise Brown at Denise@caregiving.com for further information on cruise events. To listen to my recent broadcast on ‘Be A Healthy Caregiver’ with Jerry and Denise, by simply click here! Caregivers: Join Us on a Caregiving Cruise! 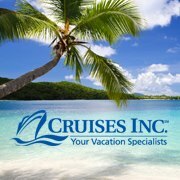 On Tuesday April 2nd I welcome “Your Vacation Specialist” Jerry Dismarais from Cruises Inc to our show. You can listen to the show by clicking here. 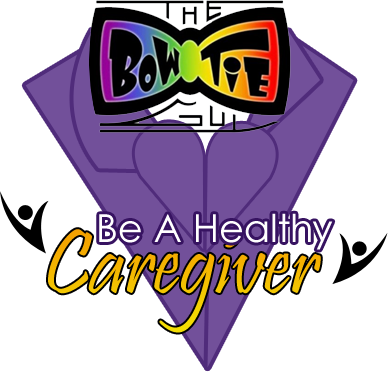 Jerry is a Certified Travel Accessible Advocate and has been instrumental in helping Denise Brown from Caregiving.com and me, ‘The Bow Tie Guy’ plan our Caregiving Cruise for this coming November. Concerned about bringing your Caree on a cruise, Jerry will bring his knowledge and expertise on the Cruise and Travel Industry and how they provide for those of us with a special needs in order to make traveling easy, safe, enjoyable and comforting! To Listen to our show live on Tuesday at 1:00pm (est), simply click here. Cannot listen live, NO Worries! All my shows are archived so that you listen at a time that is convenient for you by clicking here. For more information on our Cruise and how to book the Cruise, click here.